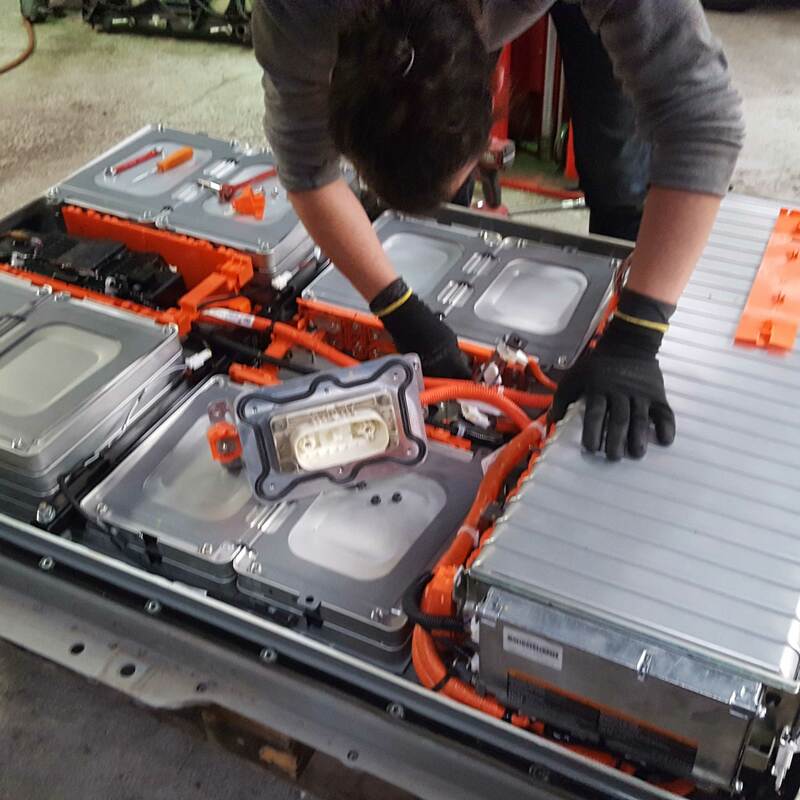 We have been looking at reconditioning EV batteries like in the Nissan Leaf for some time now. 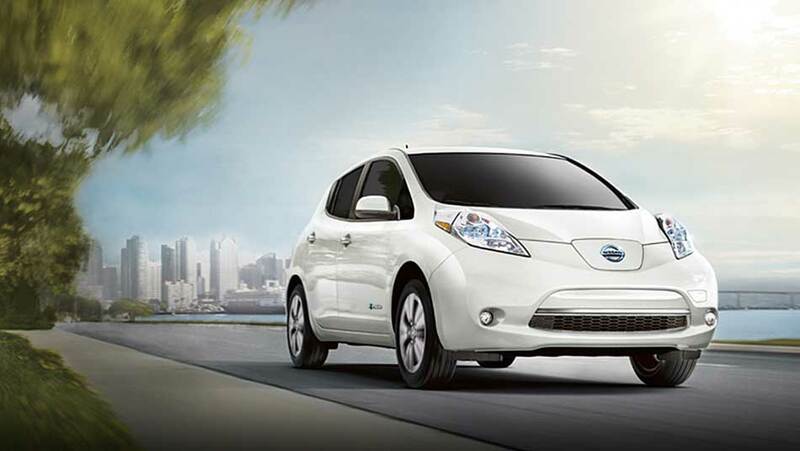 Recently we have had some success with a Gen 1 Nissan Leaf. 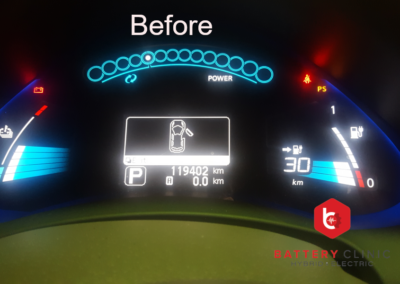 The owner brought us a 8 bar 2011 Nissan Leaf, their average total mileage after a full charge was 113kms, that for all practical purposes suited their lifestyle but they were willing to allow us to experiment with it. We spent about a week just trying to get data to identify the issue with the EV battery. 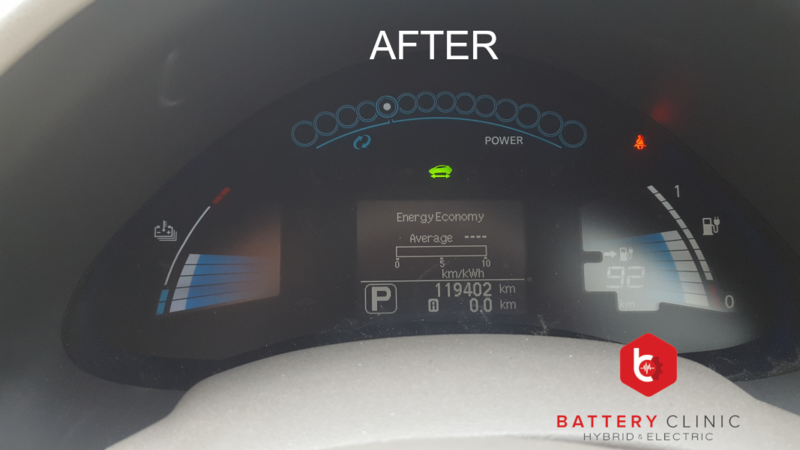 We found that the Leaf was quite good at keeping the EV battery even under stress. While it was good for the car it is not so good for us when looking for the reason the vehicle is just 8 bars in capacity. Additional issues included getting Leaf Spy to run on a desktop we found the emulator we used worked but still not great. After a lot of tears we found a way to get around this and were able to identify specific areas in the EV battery that showed deterioration. 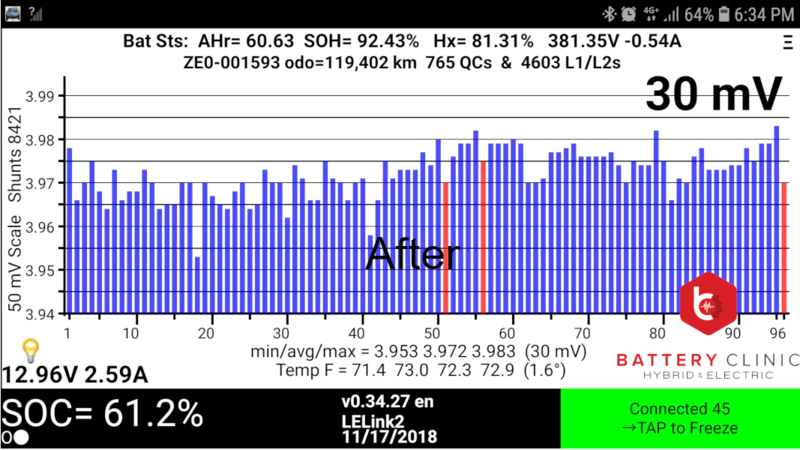 We pulled the EV battery down and then manually tested the EV Cells to see if we could verify what we could see on the scan tools. What we saw did not really lineup but we persisted anyway making adjustments to the EV bank as we saw fit. 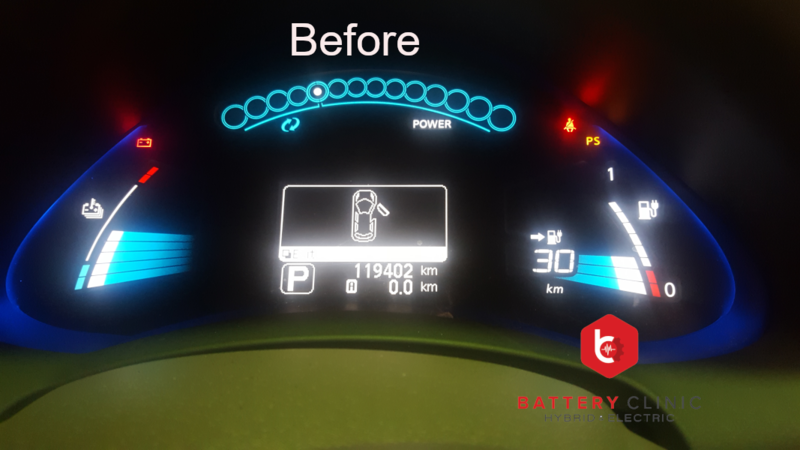 After reinstalling the EV battery we recharged and found the vehicles total mileage on a full charge had now increased to 130kms. However we did not see any capacity bar levels raise, we suspect this was due to some initial errors we made. The goal now is to repeat this process to try replicate results and fine tune it to ultimately see bar recovery on the leaf. Long term we want to be able to bring the cost of such a process down to an equivalent regular petrol engine service. For now if you own a 8 bar or less Nissan Leaf and are willing to let us tinker with it. Please get in touch. 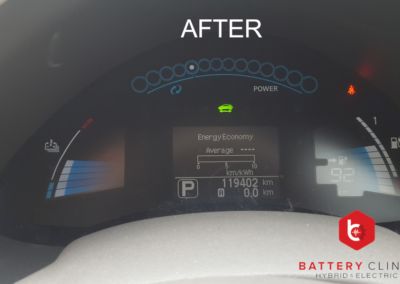 We have been trailing and debating different options and techniques for reconditioning EVs like the Nissan Leaf for more than a year now. It has taken a back seat to our Hybrid work but we had some recent success over the weekend. Our main issue was proving concept was it even possible to increase the capacity bar level of a Nissan Leaf? Today I am happy to say that it is absolutely possible! 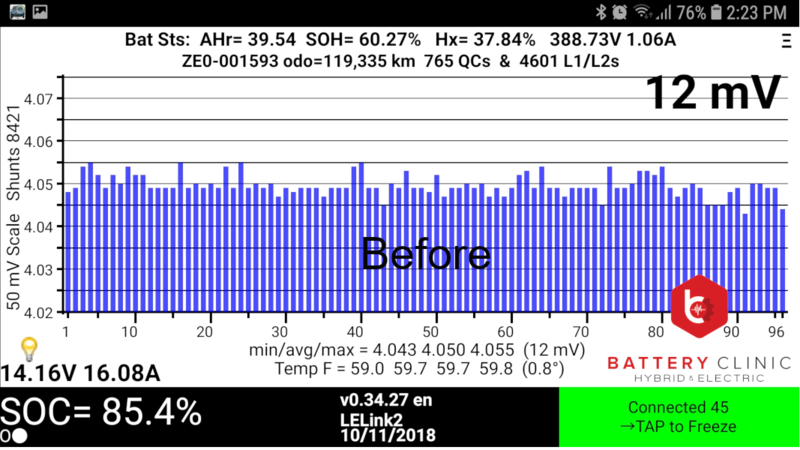 We successfully increased the capacity of this 8 Bar 60% SOH Nissan Leaf to 12 Bars 93% SOH. 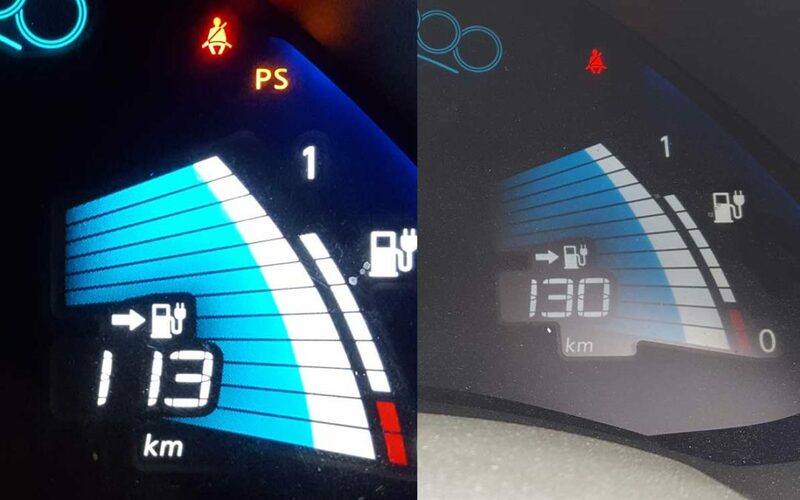 In the photos to the right you can see the capacity bar level increase of this 2011 119,000 km Nissan Leaf and below is the before and after Leaf spy data. Can you refurbish LEAF 2011 Batteries? Looking for another leaf to work on and busy modifying some equipment to handle the batteries better. I am thinking of buying a 2011 Leaf with 8 bars. I am willing to let you experiment with it if I can make this happen. Right now I am working on selling some old cars to build the necessary fund. You are doing this for experience, correct ? I think it’s wonderful research. Where are you located, just wondering. Hien, what part of California are you in? I’m in Central Cal and I own a 2011 leaf . It’s at 53km on a full charge. Are you interested? Would you be able to refurbish the degraded battery cells/packs ? That seems odd I would think 10 bar leaf would be better than that. Did it actually raise the range? Or just because it recalculated the range to a different type of driving? I believe we affected the calculated range. Next step is raising the bar levels which I presume will see greater improvements. I think you need to plug in and use software to reset the bars once you have done a refurbishment or replacement. Sounds like you’ve cracked it though. Check the update. Today I can say we cracked it. Hi, I’m also in Auckland. We are an importer of EVs and are quite curious to know how you are doing with this research and where you are heading with it. Had some recent developments. Still working on some other ideas. I have a 12 bar 85.3% SOH 2011 but only get about 90KM open road @ 100km/h anything that you can do or data you can get for your self from this ? Not really I find the leaf very good at hiding faults. which is why IMO leaf spy and that data pretty useless. 90km on open road doing 100km/h is good for an early leaf. Lol yeah Nissan are pretty cleaver at locking things down but there is always a way around…..
How it going on the refurbishing the batteries in Leaf cars? I am thinking of buying one. I’m in California. We have a 2011 leaf with 8 bars and about 65% onot leafspy. Happy to get into contact with you if that might help. Hi, i’m very impressed from your work, experimentation, and curiosity. I think it’s wonderful work. You can link up with a chap on YouTube Rich Rebuilds, he is amazing and has tonnes of experience with EV. However he only specialised in TESLA though. Nonetheless the concept remained pretty the same in terms of high voltage batteries and charging. I thought this might help you. Yeah concepts are the same. check out our latest update! Can you provide any technical reasons for how the work you did improved the battery condition? I hope you’ve actually found a legit reconditioning methodology, but the same result could be achieved by a BMS reset. A BMS reset doesn’t improve real driving range, but it does temporarily restore capacity bars and resets the LeafSpy stats too. What AHr is the pack showing after your reconditioning work? No we didn’t just reset the BMS. WOW most impressive achievement i have seen in ev batteries! Is the battery improvement lasting over the years? I mean, not only a brief push-up, right? Are you currently able to refurbish batteries for a price or not yet? Right now its a cost issue simply to expensive. We have some ideas but they are way off yet.